The penultimate round of the Top League pool games takes place this Saturday with seven out of eight playoff spots already filled. 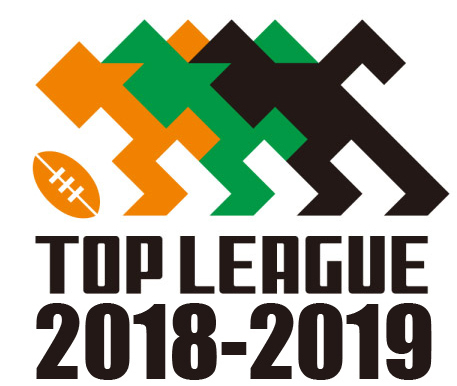 Yamaha, Panasonic, Ricoh and Kubota have all advanced from the White Conference, while in the Red Conference Kobelco, Toyota and Suntory fill the top three places. The final slot will go to one of NEC Green Rockets, NTT Com. Shining Arcs and Toyota Industries Shuttles. Shining Arcs are considered to be the hot favorites to be the last qualifying team as their opponent will be the winless Munakata Sanix Blues. The Green Rockets will play away to top seed Kobelco Steelers and the Shuttles will travel to face second-placed Toyota Verblitz. For the teams ranked 5thto 8thin each conference, there is a separate play-off system to decide which four clubs will end up playing for their Top League survival. Their opponents will be the best four sides of the Top Challenge League (Division two). Following on from the previous week, all matches will be played on Saturday with the earliest game kicking off at 11:30 am and the final match-up to begin at 3 pm. In addition, several teams will be playing without their Japanese international members as they start preparing for the national side’s November rugby tests. The Shining Arcs find themselves with a golden opportunity to advance into the top eight play-offs with the final group game of the season. With 14 points accumulated, a bonus point win here coupled with a NEC loss will propel the NTT Com. side through to claim fourth position. The task couldn’t be any easier as Munakata Sanix Blues have lost six on the trot and have conceded a phenomenal 42 points per game in a highly forgettable season. The Fukuoka-based team has been little more than cannon fodder and will be hard-pressed to stay up in next season’s division one competition. The Shining Arcs should easily dispose of the Blues and seal the deal with play-off qualification. Expect the visitors to be blown away by 20 points or more. In the Red Dolphin’s first foray into the Top League, the side from Hino city, Tokyo has secured one win from their five games so far. That was a first-round victory against the bootless Blues. Since then the newcomers have suffered five defeats in a row with loss no. 6 staring them in the face this Saturday. Last weekend NEC comfortably beat the new boys of the league 38-12. This Saturday the Red Dolphins will face Suntory who are coming off a 40-18 mauling of the Blues and will be looking to improve their standings going into the play-offs. Despite Sungoliath losing seven players including captain Yutaka Nagare to international test rugby duty, the defending champions should still have too much experience and skill, and beat the Red Dragons by 10 points or more. Last Saturday Panasonic Wild Knights were in their home fortress in Gunma Prefecture, playing against third-placed Ricoh Black Rams and ready to roll on to their sixth consecutive victory. What could possibly go wrong? Two yellow cards for the home side in the first 19 minutes of the second half is what. Those allowed the Black Rams to take the lead for the first time and with eight minutes left on the clock a try by Ricoh’s no.8 Colin Bourke put the final nail in the coffin and Panasonic was beaten for the first time this season. The full-time score was 26-17 and Panasonic’s winning streak of 28 games at Otashi Sports Park Stadium had come to an end. Head Coach Robbie Deans would have been bitterly disappointed with his teams’ lack of discipline and will demand a more controlled performance against this week’s opponent, the Canon Eagles. Canon currently share fifth position with Toshiba Brave Lupus, and last week’s 52-17 hammering by Yamaha finally put any hopes they had of making the top four to rest. Panasonic will want to finish strongly and if Yamaha Jubilo loses on Saturday, the Wild Knights can retake top position in the White Conference. Deans has no choice but to send out a weakened side however with nine players departing to train with the Japanese national side. Canon Eagles also lose three members to the Brave Blossoms including Yu Tamura’s key position at fly-half. Based on the history between these two teams Panasonic should still win this by 10 points or more. Over the last two weeks Yamaha Jubilo has really hit the straps, posting emphatic victories over its opponents including an eight-try dismantling of the Canon Eagles in round six. With the national team call-up recently going into effect, the Shizuoka-based side gives up just one player, lock Uwe Helu. The Black Rams meanwhile are fortunate to have their entire team remain intact after last Saturday’s outstanding performance over Panasonic. The question is, does Ricoh have enough left in the tank to knock off a top team two weeks in a row? Yamaha will want to keep its top seed status and avoid playing Toyota Verblitz or Suntory Sungoliath in the first-round play-offs, but the Black Rams are the only side to have overcome Panasonic convincingly. They cannot be discounted and will also want to stay ahead of fourth-placed Kubota Spears in the table. This is a tough match to call. Yamaha will be under pressure to keep its no.1 tag. Equally, Ricoh will be gunning to finish above Kubota to avoid playing Kobelco in the first round play-offs. Despite home advantage not coming into play for either of these teams, Jubilo has won the last five battles against the Black Rams. Yamaha should be able to claim a sixth consecutive victory and edge Ricoh by seven points or less. Week seven sees the two Toyota teams meet with Verblitz having already progressed to the Japan Top League Championship play-offs and the Shuttles just coming up short. In a thrilling encounter last week against the Shining Arcs, Toyota Verblitz clawed its way back from a 10 point deficit mid-way through the first half to be out in front by 16 points with 13 minutes to play. A yellow card to lock Carl Wegner however allowed the Shining Arcs to score two quick converted tries to set up a tense finale which Verblitz managed to close out 38-36. In contrast, the Toyota Industries Shuttles were solidly beaten 66-37 by a rampant Kobelco Steelers outfit. The Shuttles have secured three wins this season but have been brutally exposed by high-profile teams. In recent games the Shuttles have fallen victim to slow starts allowing more experienced sides to rack up a mountain of points in the first 40 minutes. The second half is usually when the Toyota Industries side starts to mount a come-back but it’s usually a case of too little, too late. Verblitz will be strong favorites to win this one against a Shuttles side that is struggling to find its rhythm and accuracy in the first half. Toyota Verblitz should beat Toyota Industries Shuttles by seven points or more. The Steelers are on fire, showcasing their brutal efficiency in the try-scoring department once more in week six against the Toyota Industries Shuttles. With Dan Carter at the helm for three-quarters of the match, the Kobe-based team ran in 10 tries to the Shuttles’ four. Carter showed his class by knocking over seven conversions from as many attempts before he was substituted around the 17 minute mark of the second half. This Saturday the Steelers return home to face NEC who are making a late surge for the fourth placing of the Red Conference. The Green Rockets are currently on a two-game winning streak including last weekend’s comfortable 38-12 victory over the Hino Red Dragons. In a nutshell, NEC must beat the Steelers at home to advance. It is extremely unfortunate for NEC to play its most important match against the sizzling Steelers. The Green Rockets have been performing well over the last two weeks but this upcoming challenge is perhaps a bridge too far for the visitors. The Kobelco Steelers show no signs of letting up on the whip and should easily be able to shoot down the Green Rockets by 20 points or more. The Coca-Cola Red Sparks are doomed to languish at the bottom of the table without a single point to their name in the 2018 Top League season. Like their Fukuoka-based neighbors the Blues, the Coca-Cola team will also be on record as having conceded more than 250 points this season. Kubota Spears must be licking their lips in anticipation of this match. Last week the Spears sneaked a 26-24 win over a shell-shocked Brave Lupus, leaving it to the 82nd minute to hit a last-gasp penalty. Kubota have overcome some tough opponents in recent weeks and will be aiming for a bonus-point victory over the hapless Coca-Cola Red Sparks. The visitors will also be hoping that the Black Rams slip up against Jubilo to ensure a third place finish in the White conference. The Spears should comfortably beat the home side by 15 points or more. It has been a disappointing year for both Honda Heat and Toshiba Brave Lupus as neither team made the final cut. The Heat is currently in 7th position on 9 points and Toshiba Brave Lupus lie 5th in the table with 12 points. Last weekend Honda finally recorded its first win of the competition, downing the bottom-dwelling Red Sparks 52-31. Brave Lupus meantime blew a 21-11 half-time lead allowing the Spears to win by two points and send Toshiba to its fourth loss in six games. For this Saturday’s clash, Brave Lupus could find itself in a wee bit of strife come selection time. Missing from Toshiba’s match-day squad will be two of its most powerful and influential back-row forwards, Japanese international flankers Michael Leitch and Yoshitaka Tokunaga. Further hindering the visiting Tokyo side, captain Richard Kahui’s place in Saturday’s lineup is doubtful due to injury. The Heat conversely will be able to put out a full-strength team. Looking at the previous six results, Honda Heat has produced an average of 27 points per game. Toshiba Brave Lupus on the other hand has averaged 21. In four attempts, the Heat has never beaten Brave Lupus and history suggests that the visitors should be able to cruise to victory. Due to the current situation however Honda is perfectly set up for an upset win against a depleted Toshiba side. The home side ought to take advantage of this unique position and beat Brave Lupus by seven points or less.